I admit that what Microsoft tries to do with the Surface is brave and interesting. Personally I think it's a lot more interesting than what Google tries to do with the ChromeBook and even with Android. They use the same “hardware optimized for the software” philosophy as Apple. I like that. And I can imagine a future with such device that you can dock to a bigger display when you come home. Well I already do that with my 11-inch MacBook Air but it's not really made for that usage. The Surface is. Personally I think 12-inch is a bit too big as a tablet but perfect as a laptop. So as a compromise between those categories maybe Microsoft did the right thing choosing 12-inch. And that new 3:2 aspect ratio looks much better than 16:9 when you want a device to be productive and creative. It will be too heavy to use as a tablet though, that's for sure. One of the reasons why I decided to use the iPad Air as my default environment was because it was so much lighter than earlier models, and trust me, it makes a huge difference. Too bad it still have a fan though, but Microsoft says you don't notice it, but let's see about that. And what about battery life? 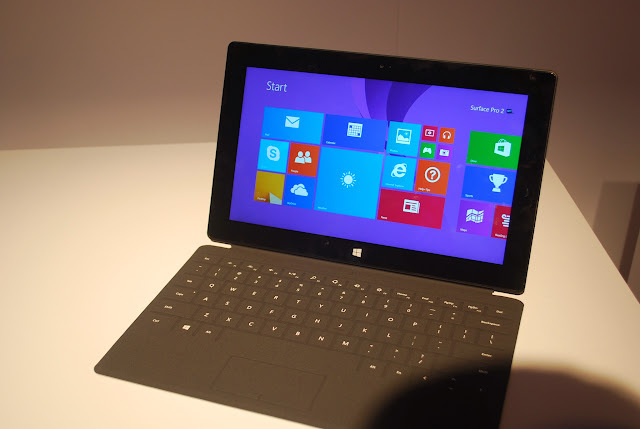 It's thinner and lighter than surface 2 but bigger, so how will battery life be? It's lighter than the 13-inch (why didn't they compare it with a 11.7-inch model?) MacBook Air. I still don't like the kickstand though, looks like you still will have problem having it in your lap or stomach when you sit or laying down using it, even if they say that they have made it better. That's important to me because I very often use a device in that way. And the pen is definitely nothing for me, I can see the usage for some people, like artists for example. But for other productivity stuff I can't see the point with a pen. It makes everything slower to work with it. I rather use my finger if I need to make notes on a document (which I never do anyways). Microsoft seems obsessed with the pen, to me it's just an old technique from the 90's. And of course, the biggest drawback is the price. For those very high prices, the consumer have to decide to replace their computer with the Surface Pro 3, otherwise it would be very hard to motivate the investment. But I'm sure it can replace your computer, because it's possible even with the iPad. And the Surface docking station could make it to your desktop computer too. 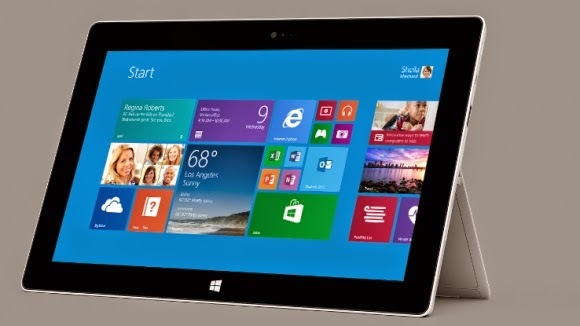 And I still think that Microsoft is marketing the Surface wrong by saying it's not a tablet.